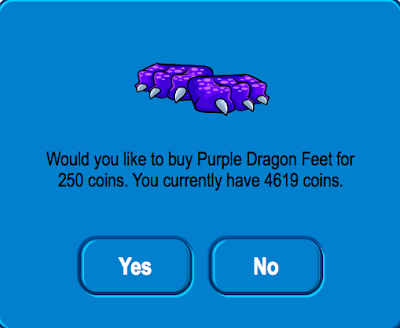 Club Penguin Cheats by Mimo777 Club Penguin Cheats by Mimo777: Club Penguin Purple Dragon Costume Available Now! 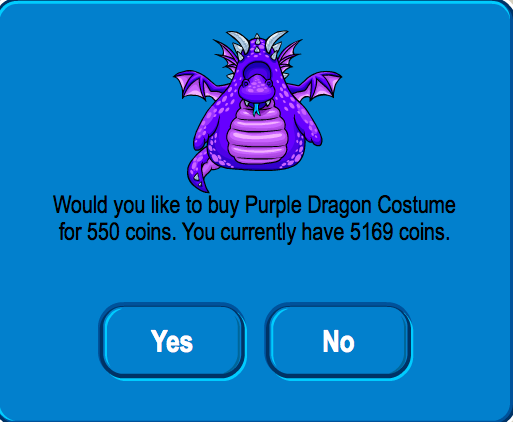 Club Penguin has finally squashed the bug and you can now get the Purple Dragon costume! 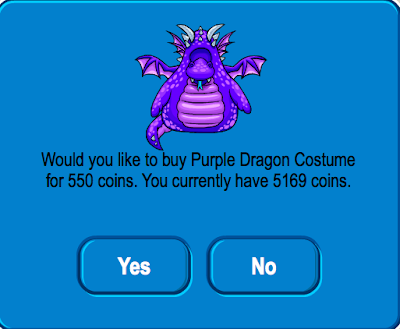 Cool costume, don't you think? I can hardly wait to see all you gargantuan goobers of grape goo galavanting around the Club Penguin glaciers in this!